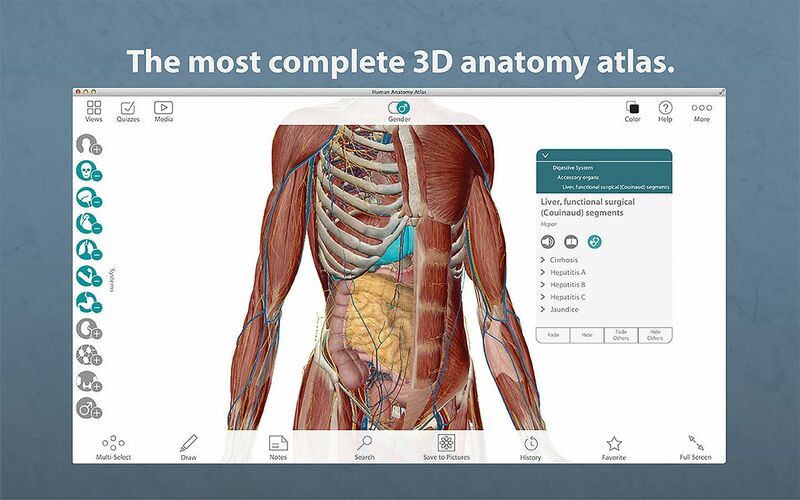 The Visible Body Human Anatomy Atlas is a best-selling and award-winning general reference on human anatomy. 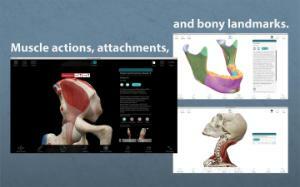 This revolutionary 3D visualization and learning tool helps users explore the systems of the human body. 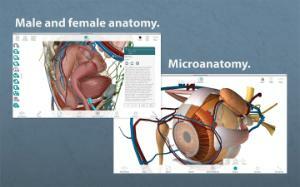 It contains more than 4600 anatomical structures including all major organs and systems of the male and female body. Healthcare professionals, patients, students, and anyone interested in detailed visualization of human anatomy can use this application. 3D models include encyclopedic reference information, structure and Latin names, anatomical grouping, detailed definitions, and descriptions of common injuries, diseases, and pathologies. 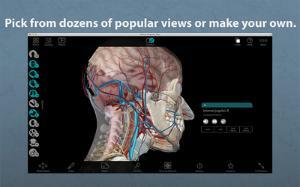 The powerful and user-friendly interface offers dozens of popular views and a customizable view option. It takes one or two clicks to access reference information or edit a view to add entire systems, groups, or individual structures. The tool also offers the option to create a library of favorites, annotate images, and share views or screenshots. 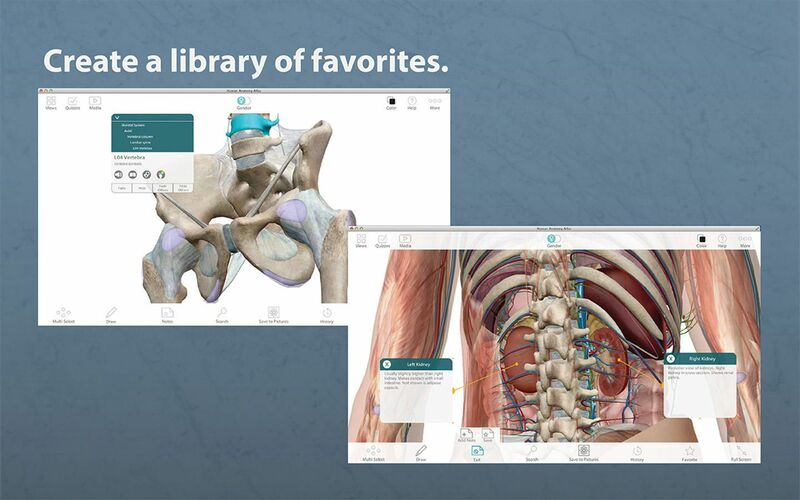 With more than 1200 quiz questions, users can practice what they've learned using the atlas. Ordering information: One-year subscription. For Windows desktop or laptop, system requirements include 2 GB RAM, 2 GHz Pentium 4 processor or better, Windows XP/Vista/7/8, dedicated video card with 64+ MB on-board RAM, and 768 x 1024 screen resolution or better. For Macs, system requirements include a Intel processor: 2 GB RAM, latest version of OS X 10.7 and above, dedicated video card with 64+ MB on-board RAM, and 768 x 1024 screen resolution or better.